On that day these brave words were set down in Latin at the abbey of Arbroath, where Scottish earls, barons, freeholders and clergymen – representing ‘the whole community of the realm’ – had gathered for the purpose of sending a message to the Pope in Rome. 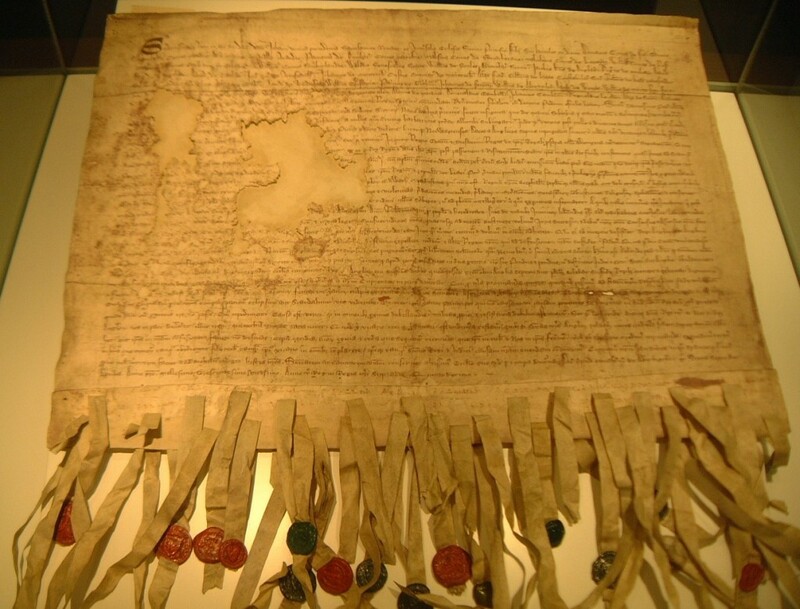 Known thereafter as the Declaration of Arbroath, the document asserted Scotland’s independence, militarily confirmed by the great victory at Bannockburn six years earlier, and the assemblage’s choice of Robert the Bruce as their king. 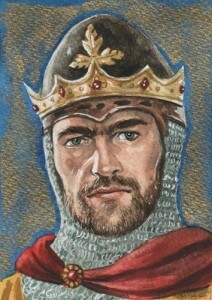 In the course of the long and complicated struggle for his nation’s independence, Bruce had slain his rival for the Scottish throne, John Comyn, and subsequently had himself crowned King – deeds that won him excommunication by Pope John XXII and an oath by King Edward of England never to rest until Scodand was thoroughly restored to English rule. Against all odds, Bruce and the Scots were victorious in the war that followed. But in the aftermath Edward’s son, ruling as Edward II, would not recognise the independence of Scodand or Bruce as its rightful monarch: a position buttressed by Bruce’s excommunication, which, while it remained in force, cast in doubt the legitimacy of his kingship. The Declaration of Arbroath, encapsulating as it did the determination of a united people, had effect. The Pope issued a temporary waiver of the excommunication and in 1324 recognised Bruce as the King of the Scots. Border raids and broken truces continued to mark Scotland’s relations with England, but in 1328 Edward III signed the Treaty of Southampton, recognising Bruce as the king of an independent realm.